Hi guys/girls. 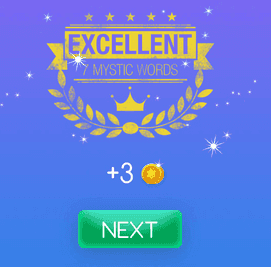 Welcome to Mystic Words Beige level 10 answers. Remember to look only the answers to the clues you are blocked. There is no fun if you see all the answers before trying to solve them first. Vegetarian 6 letters answer, click here! The only island state in US 8 letters answer, click here! Covered in trees 6 letters answer, click here! A band of warriors 7 letters answer, click here! One of the Big Four auditors 4 letters answer, click here! Difficult to understand 10 letters answer, click here! United States prizefighter 5 letters answer, click here!